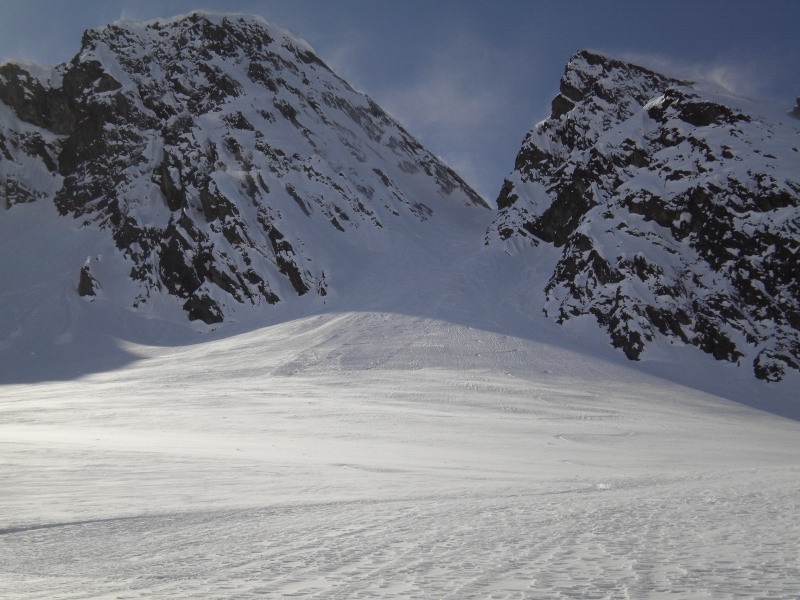 From the notch, contour around to the base of Mummy Mountain. 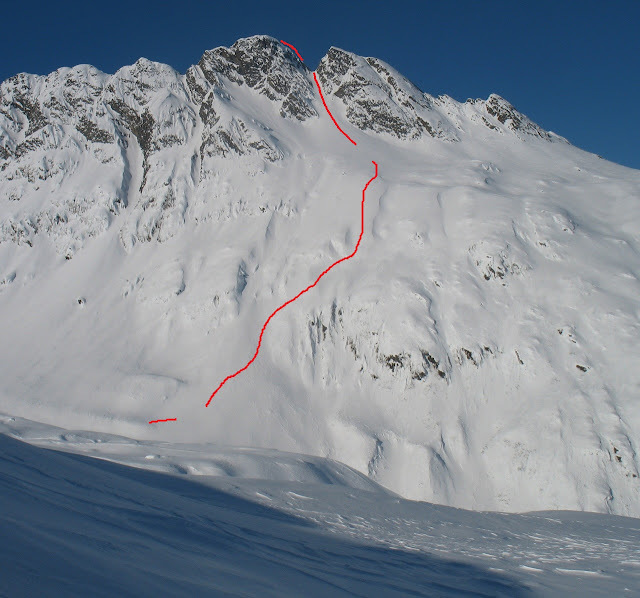 If you go straight across from the notch, you encounter steep rollovers while losing a few hundred vertical feet. You will end up losing some elevation regardless, and don't want to contour all the way to Allison Lake and around, so pick a middle of the road approach approximately as shown on the overview topo. Climb (and ski) approximately as shown by the red line below. Avoid steep rollovers. It's a straight forward climb to the notch at the top of the chute section, around 3700'. The chute goes 39 degrees for 700' vertical. Getting from the top of the chute to the summit is much more challenging. Go up the ridge from the saddle, favoring the west side as you go. Expect steep exposure on both sides.